Julie and Dan are well-experienced Great Lakes cruisers. They presently cruise the lakes aboard their Gozzard 41, Gavidae, are GLCC Port Captains for Old Dave’s Harbor near Lake Superior’s East Otter Cove, and are 2016 recipients of the club’s coveted Founder’s Award, an annual GLCC member award for the best cruising log of a Great Lakes cruise. Dan has a journalism degree and over 35 years of writing and editing experience across both print and digital platforms, plus has taken classes in web site design & management. Julie has a Computer Science degree and has spent her career in Information Technology. She is also experienced in web development, Wordpress, and other aspects of software development and programming. Please join in thanking Lou for his years of service and wishing him the best in his future endeavors, plus in extending our mutual congratulations and support to Julie and Dan as they assume the helm of the GLCC Harbor Reports Committee. Harbor Reports - 8 years of superb work! Permalink Submitted by Adena-Marilyn on Fri, 03/29/2019 - 22:23. Thanks to Lou for the dedication to update the Harbor Reports promptly and thoroughly! The transition of the Harbor Reports, and the entire technology for the GLCC, as summarized by Bill Matley is right on! The "Techie Team" deserve a standing ovation for their tackling and wrestling the technology upgrades for many years. And a big thank you to Julie Thorndycraft and Dan Deweese willingness to serve as co-editors going forward! Heck of a job "Lou"! Permalink Submitted by Bill Matley on Fri, 03/29/2019 - 16:51. 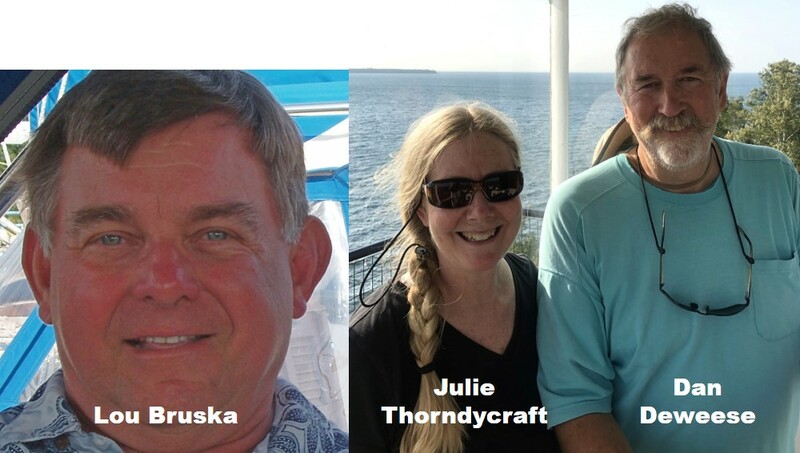 The club's transition from printed notebooks to web based harbor reports has been done in no small part, due to people like Ron Dwelle, Joann Mead and Lou Bruska. It is really excellent work!! Certainly Lou, was a part of a team of dedicated committee members and that technology team has had an immeasurable influence on the club. But the sum of the whole, is often dependent upon the effort of key parts. Lou, has shown himself to be a key part of the technology team. He is worthy of thanks and recognition. I urge the Board of Directors to recognise the importance of technology to the club. The Board should consider creating an award, given periodically, that honors GLCC members, who's talents and work in the technological needs of the GLCC, deserves special recognition. You can't buy the skills, creativity, and effort these members have given to the Great Lakes Cruising Club. I would ask every GLCC Board member reading this, to bring this up at the next possible opportunity.